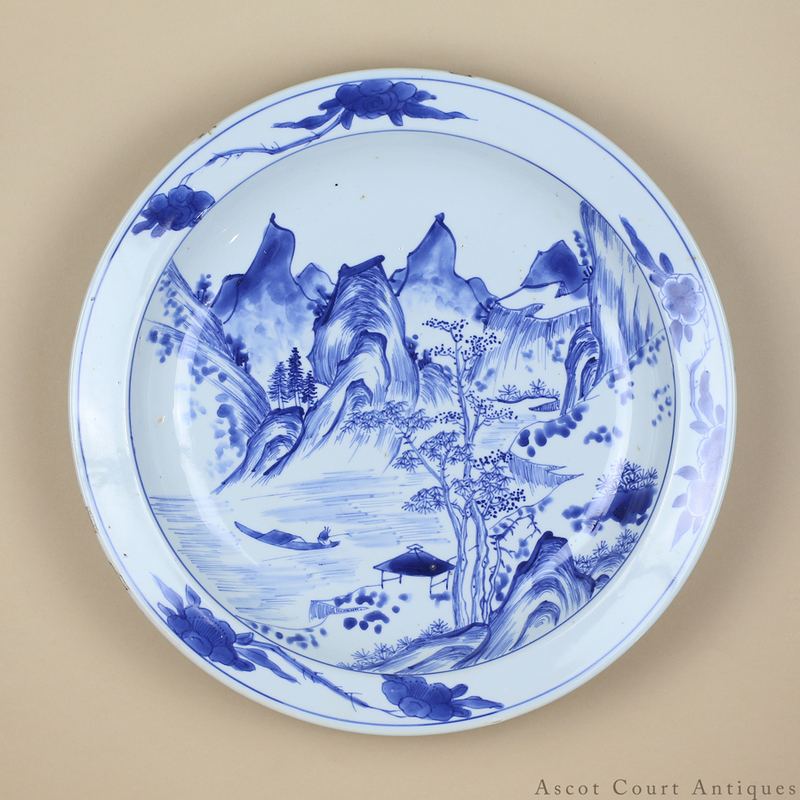 A large and lovely 17th c Kangxi blue and white plate, painted with a landscape in the early Kangxi manner with its wistful but energetic linear ‘master of the rocks’ strokes and pale blue shuimo-like spot shading. 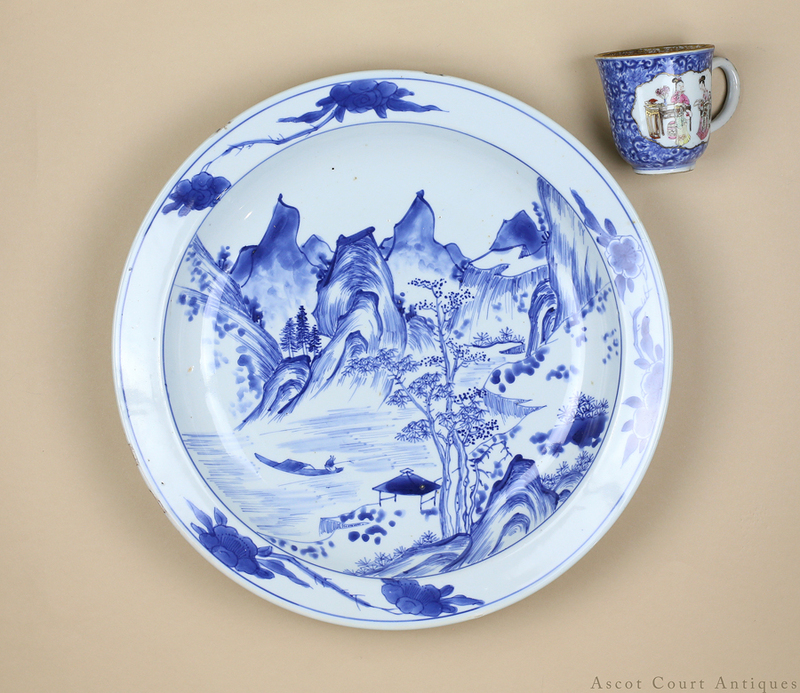 The flat everted rim is framed by sprigs of hibiscus flowers, while the base is marked with a peach sprig that similarly climbs around the reverse rounded sides.The Van Gogh-like mountains rendered by the ‘master of the rocks’ style has become representative of early Kangxi porcelain. 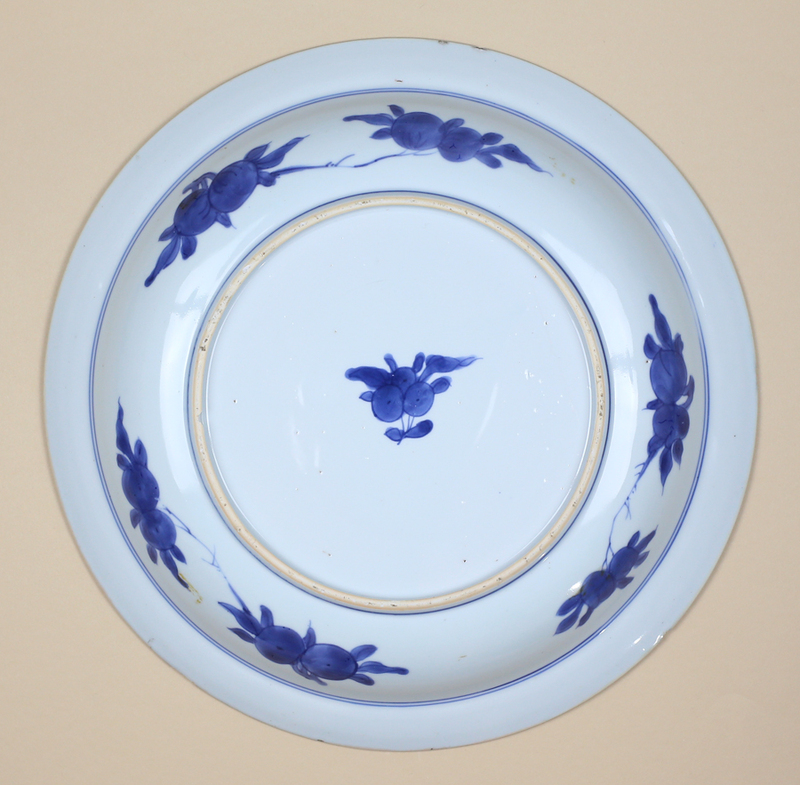 Indeed, blue and white Jingdezhen porcelain fired prior to 1675 almost always featured shading with powerful (and sometimes curling) linear strokes– a style that seems to be inherited from 17th c Ming literati brush painting. When the Wu Sanggui rebellion of 1673-81 devastated the Jingdezhen area and destroyed its kilns, porcelain production there seemed to undergo a marked stylistic transformation and the ‘master of rocks’ style curiously fell out of fashion.